Graphene oxide (GO) is synthesized from commercially available graphite powder. The prepared GO is converted to reduced graphene oxide (rGO) by chemical reduction using sodium borohydride and sodium hydroxide. The rGO is characterized via X-ray diffraction, Raman spectroscopy and scanning electron microscopy. Conducting polymer–polyaniline, was prepared by oxidative polymerization in an electrolyte- hydrochloric acid and using ammonium persulphate as oxidant. The structure and doping of polyaniline were studied by Fourier-transform infrared spectroscopy and ultra-violet visible spectroscopy. To enhance the conductivity of the rGO, the conducting polymer mixed with rGO and rGO/Conducting polymer composites were prepared. The composite was characterized by cyclic voltammetry, AC impedance spectroscopy. 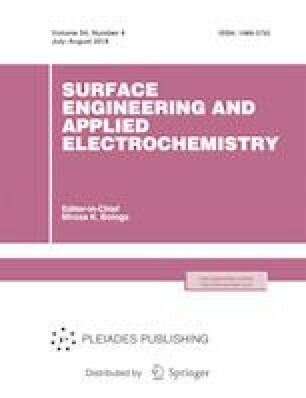 A symmetrical supercapacitor (SC) has been fabricated based on rGO/PANI composites. The prepared composites were shown specific capacitance of 72 F g–1 at 2 mV s–1.